In our rapidly evolving post-ACA landscape, healthcare practices are having problems adapting to changing needs for patient engagement—described as encouraging the patient to take a more active role in their own care and treatment through communication with their doctor. While many patients simply hand their insurance card to the receptionist and expect them to handle all administrative details, others—thanks to the growing consumerism of the healthcare industry—demand a fuller understanding of their personal care, becoming frustrated when they feel they’re “just a number” in their doctor’s records. Why is patient engagement falling behind? A survey of healthcare executives released last year by HIMSS Analytics reveals a general dissatisfaction with patient engagement strategies, such as introducing online patient portals, describing them as often “half baked”, or lacking coherent leadership. A chronic lack of patient engagement also affects a provider’s bottom line. 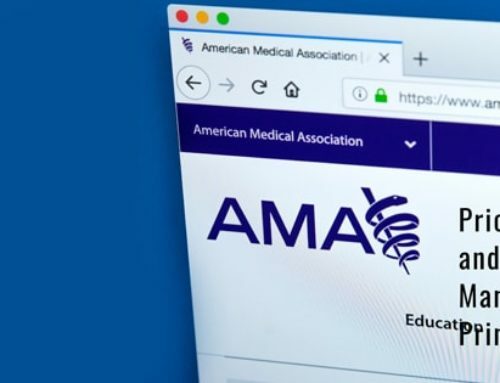 As a provision of the ACA, Medicare payments increase for providers who receive favorable patient reviews, as collected on the agency’s Physician Compare site. On other well-known online review websites, too many reviews by unsatisfied patients will leave other potential patient scrambling for a better rated source of care. A clear patient pay estimate, with a proposed payment schedule presented at the time of care before the patient leaves the office. Effective engagement and communication from the outset also helps tackle anxiety patients experience often when hit with unexpectedly high out-of-pocket charges. Many consumers who chose the lowest-costing “bronze” insurance policies offered by the ACA healthcare exchanges failed to understand lower premiums translated into higher copays and deductibles in excess of $1,000. One recent report by the U.S. Federal Reserve revealed that a startling 47 percent of all Americans consider a bill of only $400 to be a major financial disruption, requiring them to consider selling personal possessions or borrowing the money—or simply not pay at all. Health insurance verification through direct coordination with the patient’s payor. Preauthorization from that payor for possible treatment or procedures. Patient pay estimates to prevent the “sticker shock” that too often accompanies the first medical bill. iBridge frees your team from everyday administrative details to focus on delivering stronger patient care. To learn more about iBridge and other Infinx RCM solutions for your healthcare practice, contact us today.